When Alyssa Panga, 13, and her half-brother, Garrik Sementin, 18, arrived in New York from the Republic of Moldova, at the end of February to attend Chabad’s C-Teen Convention, their visit was a dream come true not only for the teens themselves, but also for a group of students at the Frisch Yeshiva High School in Paramus, whose efforts had made it all possible. 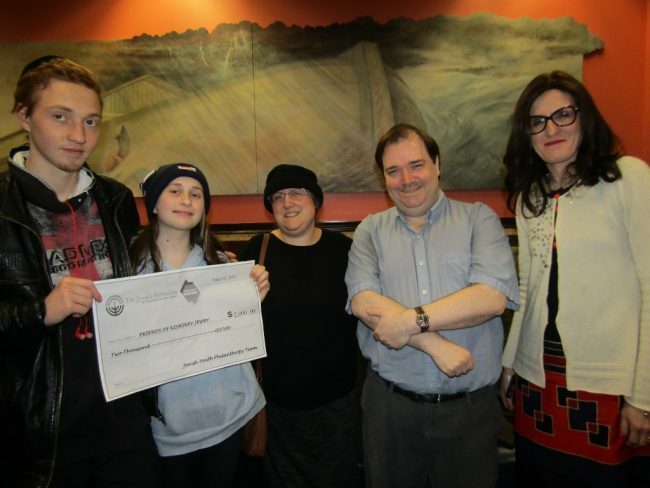 The Frisch group was led by Judith Rosenbluth, now a 17-year-old junior, of Highland Park, whose parents, Dr. Jonathan and Chaviva Rosenbluth, have been financially supporting the Chabad program in Moldova, officially called Friends of Kishinev Jewry, for years. Part of the Soviet Union until the USSR’s dissolution in 1991, Moldova, a small land-locked country bordered by Romania to the west and Ukraine to the north, now considers itself an independent republic. In Jewish history, the area is notorious for the horrific pogroms that rocked its capital, Kishinev, in 1905. In 1941, the Nazis invaded and seized the entire area, which included 270,000 Jews. Before Moldova was recaptured by the Soviets in 1944, almost a quarter of a million Jews had been murdered. After the war, the Jewish community began to regrow, and peaked to almost 100,000 in 1970. Very quickly, however, many of these Jews left for Israel. As of 2014, the official census showed 15,000 Jews in all of Moldova, most of them in the capital. To that end, Rabbi Abelsky and his staff provide spiritual sustenance as well as tons of food, clothing, medical supplies, and stipends for living expenses, which they distribute to some of the poorest of world Jewry. They operate not only in Kishinev, but also through outreach programs to other parts of Moldova where even smaller numbers of Jews reside. 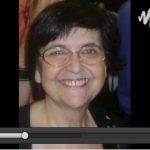 Equally important, so did Judith Rosenbluth and her friends at Frisch. One of the most important activities undertaken by Moldova Matters at Frisch was to initiate pen-pal relationships with Moldovan teens who were just starting to learn about Judaism, thanks to the efforts of Rabbi Abelsky. As part of their program, the Frisch students prepared a few video presentations explaining what Judaism meant to them. The highlight of Moldova Matters occurred when the Moldovan-Jewish teens gathered together in Kishinev to watch the final evening of spirited singing and dancing during a live-stream of the Frisch School’s Shiriyah program. Back in Moldova, it was decided that the best use of the grant money would be to sponsor a trip to bring two Moldovan teens to the US to see upfront the vibrant Jewish community that had befriended them. The plan was to bring them to New York to participate in the February 23-25 Chabad C-Teen Convention, a global network of Jewish teenagers whose lives have been influenced by Chabad. A lottery was held in Moldova, and the winners were Alyssa and Garrik. Their winning was very meaningful to Rabbi Abelsky who said that, for the last two years, the young man had been attending Chabad programs which were held in Tiraspol only on Sundays. “That meant Garrik was putting on tefillin only on Sundays, and, after a while, that became not enough for him. He desperately wanted his own set of tefillin so he could put it on every day. I posted his request on Facebook and, in ten minutes, I got a response from a nice fellow in California, who had never heard of us before, but agreed to sponsor Garrick’s tefillin,” said Rabbi Abelsky. 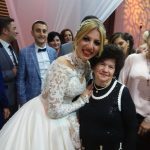 Born in Moldova, Garrik Sementin and his mother briefly left Tiraspol for Israel when he was five years old and she had remarried. Alyssa Panga, her second child and Garrick’s half-sister, was born in Israel, but, very soon afterwards, the family returned to Tiraspol. Today, Alyssa attends high school in Tiraspol, and Garrik is a student at the University of Ushinsky in Odessa, where he is studying to become a teacher. To get on the plane, Alyssa, Garrik, and 15 other young Jews from the region whose tickets were funded through a variety of other venues, traveled eight hours from their homes by bus, first to Odessa and then to Kiev in Ukraine. The group was met in New York not only by their hosts in the Chabad community in Crown Heights, Brooklyn, but also by some former Moldovan residents who have become part of the Chabad community and were able to serve as translators. As long as Moldova was part of the Soviet Union, its language was written in Cyrillic letters and called Moldovan. When the country became independent, the language was written in Latin script and called Romanian, recognized as a subdialect of the language spoken in neighboring Romania. Today, the language is called by both names. 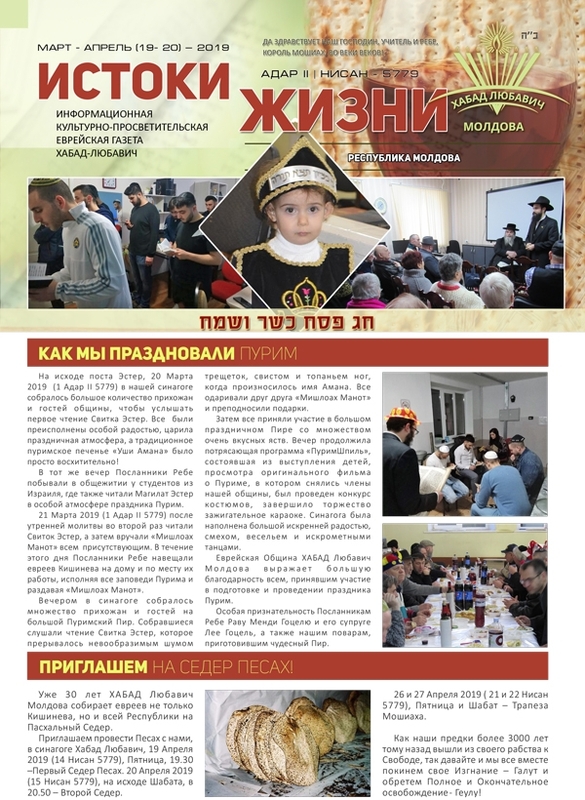 They hope those in the US who want to become involved in the struggle to maintain Yiddishkeit in Moldova will contact Rabbi Abelsky through his Friends of Kishinev Jewry website, http://fokj.org/; his email address, fokj@kishinev.org; or Rebbetzin Abelsky’s email, chaya@infiniti-coaching.com. “Even though we didn’t meet them in person, we intend to stay in touch with the Frisch students as well as many of the teenagers we met through C-Teen,” said Garrik. Mazal tov to Eden Gindin on her wedding to Yishai Yelizarov.